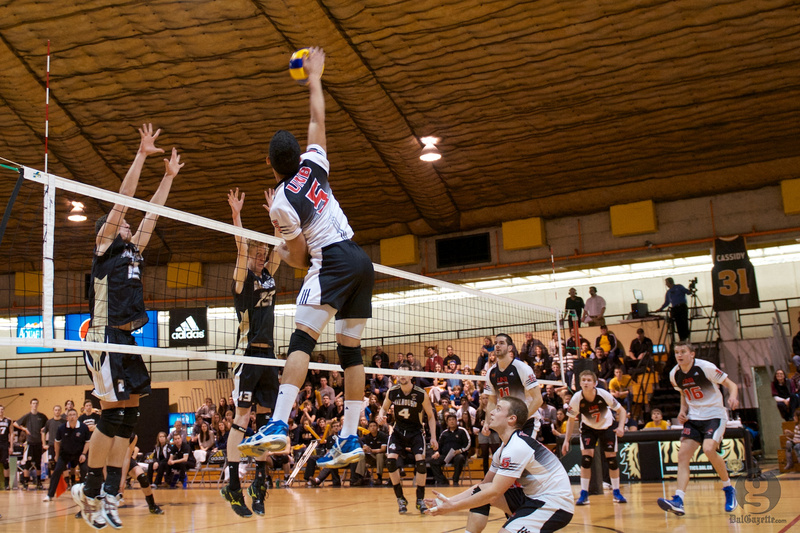 The days of Dalhousie’s perennial dominance in men’s volleyball are over. Despite winning 31 of the last 34 AUS titles, the Tigers have lost twice in the past three years, both times at the hands of the UNB Varsity Reds. After dropping the opening game of the best-of-three championship series at home last Friday by a score of 3-1, the Tigers were in a hole heading to Fredericton for Game 2. In a fashion strikingly similar to their first meeting, Dal came out of the gate hot two days later and took the first set 25-23. But it was all downhill from there, as the Tigers dropped the next three sets 25-17, 25-19 and 25-6 to end their season without a banner. The young Tigers team, which welcomed 11 new players at the start of the season, showed signs of frustration as the game progressed, including a yellow card to setter Carson Moeller in the fourth set after questioning an official’s call. Although he doesn’t blame youth as the sole reason for his team’s loss, Dal head coach Dan Ota acknowledged that inexperience played a factor. Dal was unable to withstand the V-Reds’ attack all game, led by the game-high 18 kills of back-to-back league MVP Julio Fernandez and Elvind Andersen, who finished with 10 kills and nine digs. UNB also had great production from their captain, fifth-year libero Matt Sweet, who had seven digs and played well defensively. Bryan Duquette had 11 kills and four digs, while Alex Dempsey contributed with 10 kills and five blocks for the Tigers. 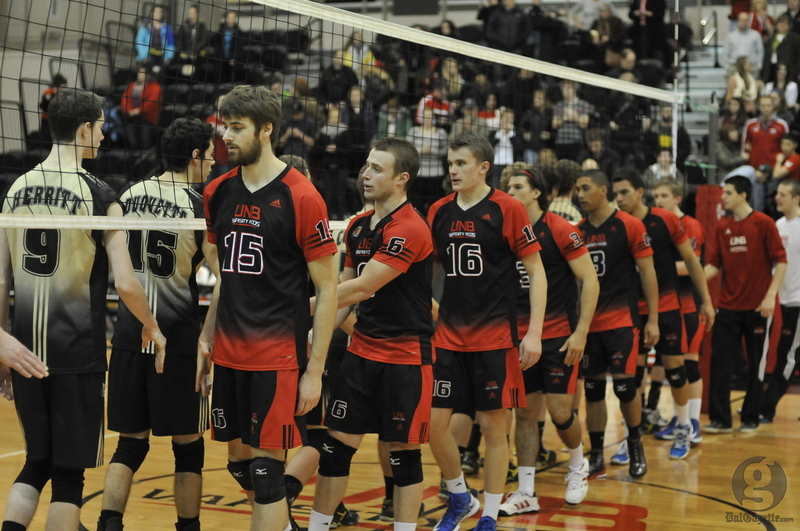 UNB’s win signals a changing of the guard in AUS men’s volleyball. Two years removed from seeing their 24-year championship streak snapped, the Tigers are once again searching for answers. Duquette, who was a member of the losing team two seasons ago, emphasized that his team has to look toward the future and move on from this tough loss. If the Tigers are to bring the AUS men’s volleyball title back to Halifax next year, they will need to use this loss as motivation and learn from their mistakes. By capturing their second title in three years, UNB has shown not only that they are a force to be reckoned with, but have every intention of starting a streak of their own. ← Are you good at multitasking?